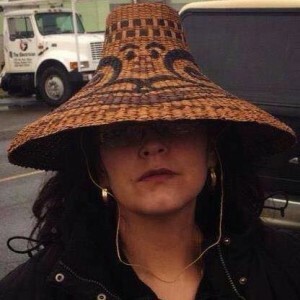 Naomi White (nee Hughes), is a member of Tsimshian Nation Laxkwalaams (north western British Columbia). 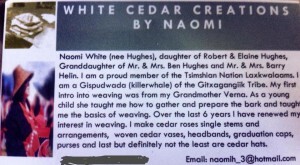 She is Gispudwada (killerwhale) of the Gitxagangiik Tribe. She learned weaving from her Grandmother Verna. 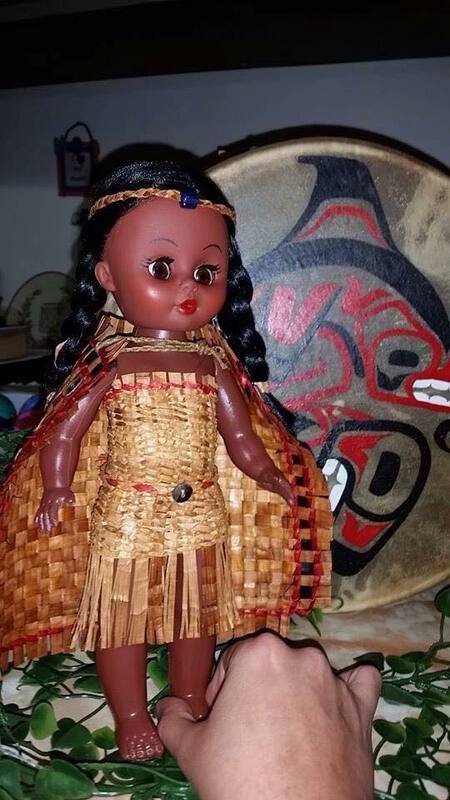 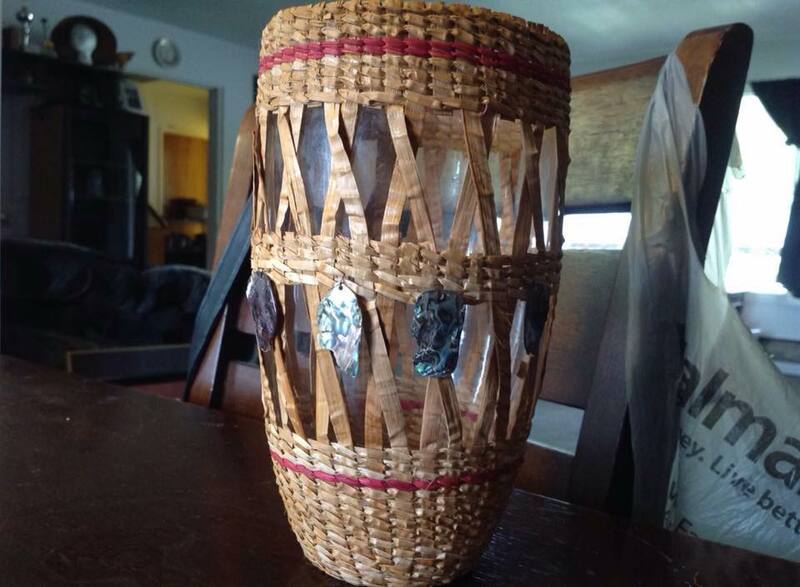 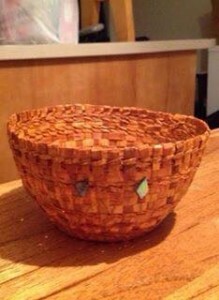 As a young child, she was taught how to gather and prepare the bark and taught the basics of weaving. 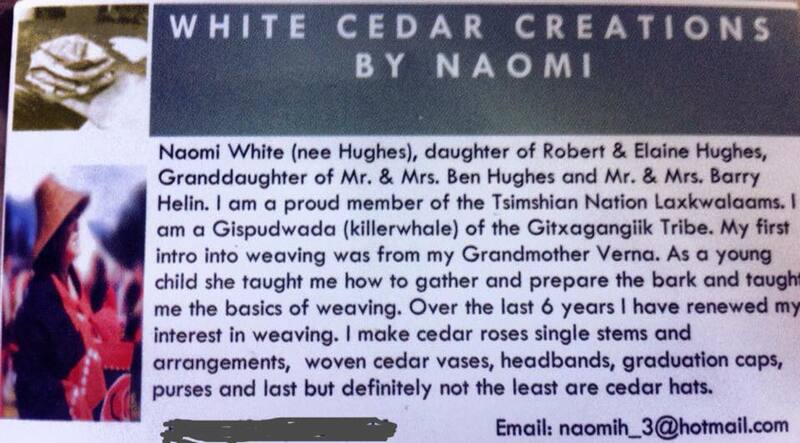 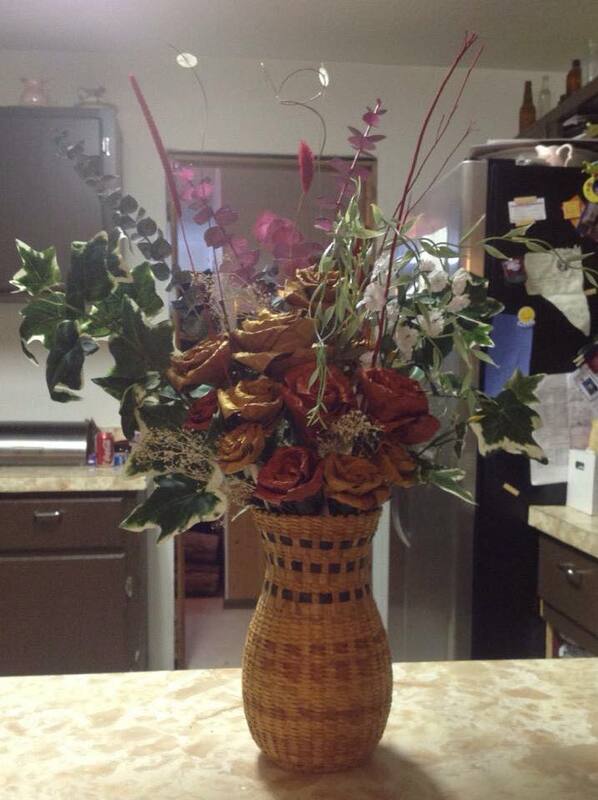 Naomi makes cedar roses single stems and arrangements. 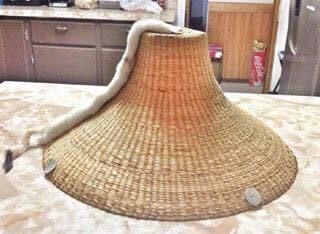 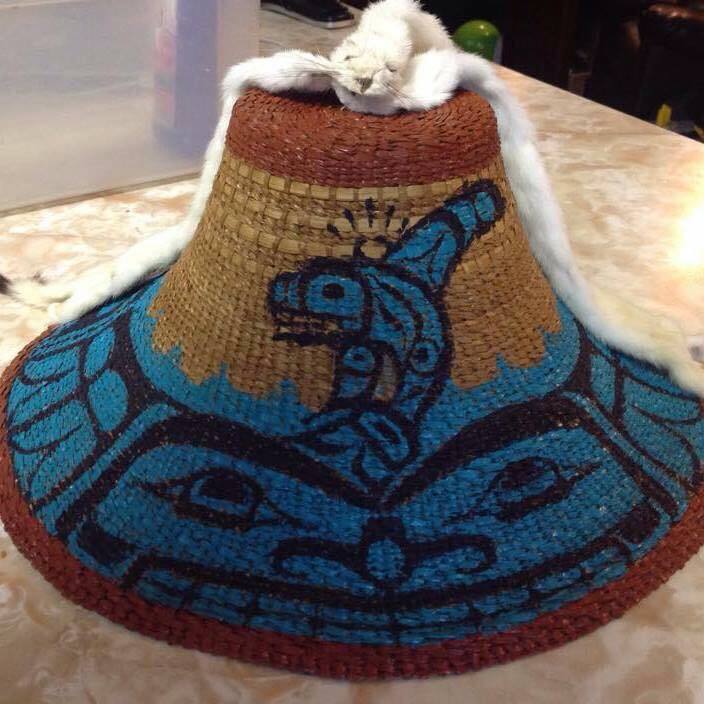 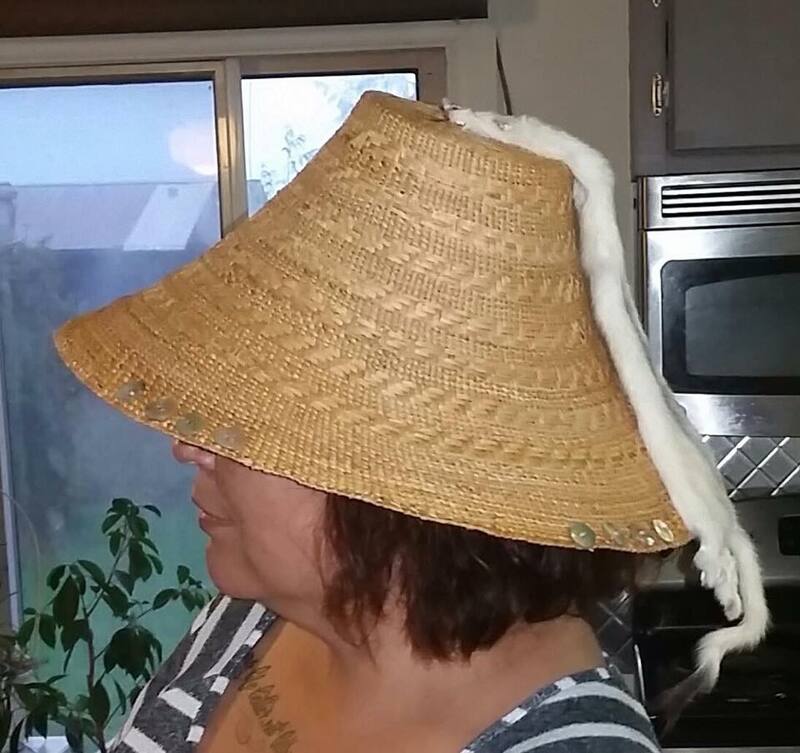 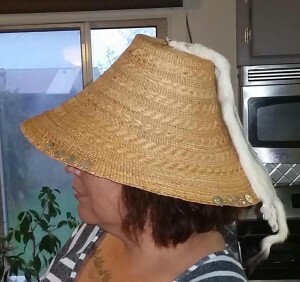 She also makes woven cedar vases, headbands, graduation caps, purses and cedar hats.